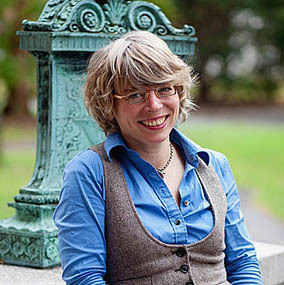 The Folger Institute, a consortium of 40 universities and the Folger Shakespeare Library, kicks off a major scholarly conference this evening with a public lecture, “KJV in the USA: The King’s Bible in a Country Without a King,” by keynote speaker Jill Lepore. 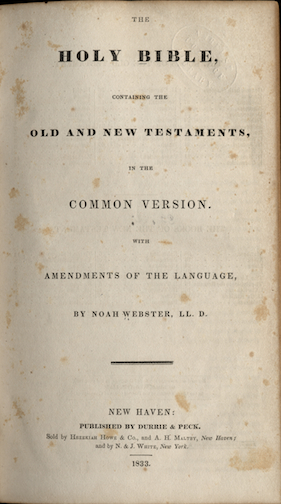 Noah Webster’s edit of the King James Bible is also included on our Manifold Greatness website in the site’s Historic American Bibles gallery. While the project was enormously important to Webster, it was—as Lepore explains—not particularly successful among American, or any other, Bible readers. 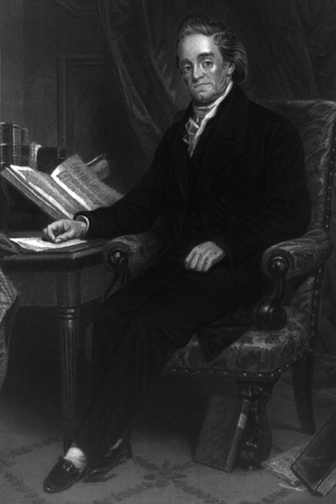 Noah Webster. Library of Congress. Webster's edited Bible. 1833. 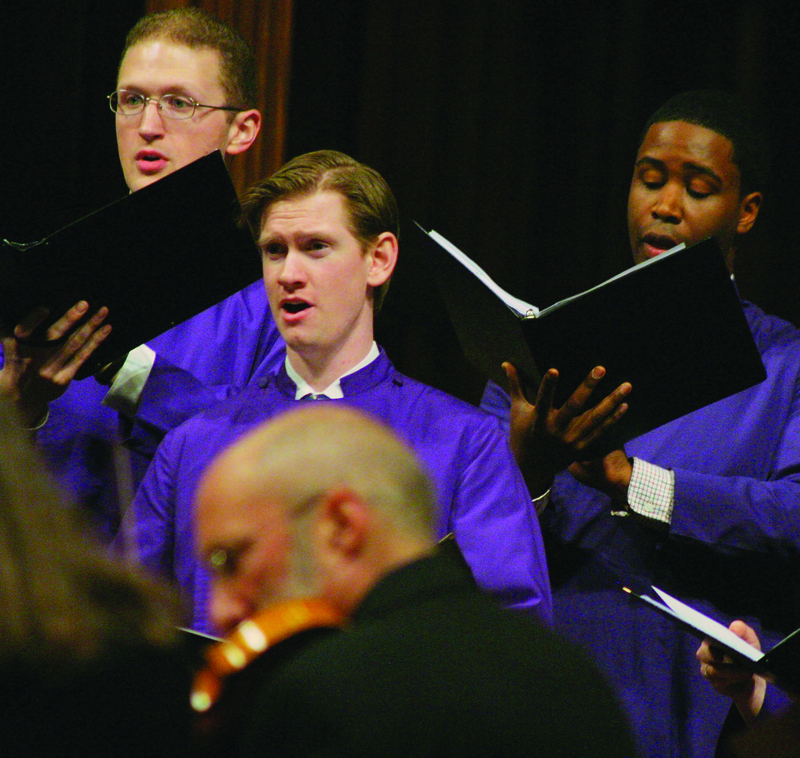 Amherst College. The Folger Institute conference, “An Anglo-American History of the KJV,”continues through Saturday, October 1. 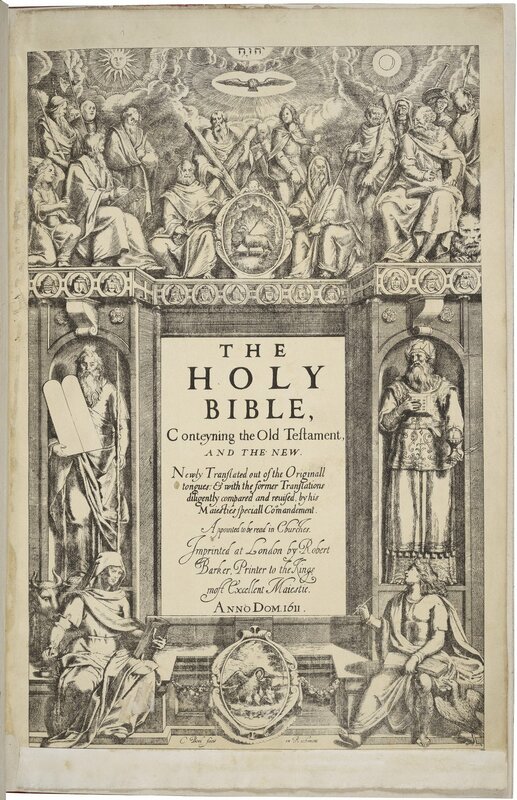 The conference includes plenary lectures, panels, and round tables, with a focus on the King James Bible and early modern England in the Friday sessions and a focus on the King James Bible and America on Saturday. For a look at the great variety of subjects to be covered, including links to additional materials supplied by some of the speakers, consult the online program at the link above. 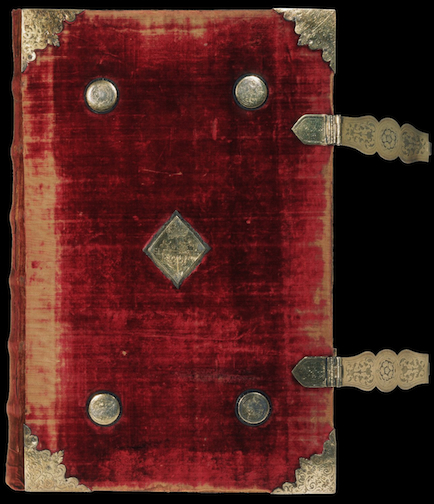 Aitken Bible. Library of Congress. 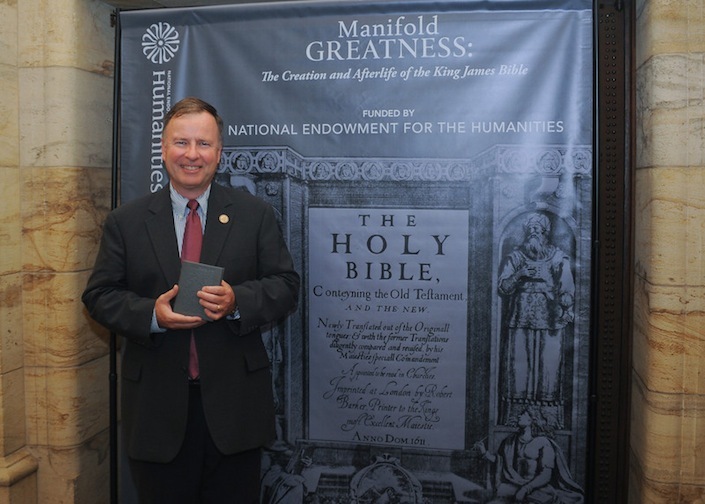 Congressman Doug Lamborn of Colorado holds a replica of the 1611 King James Bible. A panel version of the Manifold Greatness exhibition will travel to East Library in Colorado Springs in 2012. R. David/ National Endowment for the Humanities. A year passed before Aitkin’s prayers were answered when Congress’s two chaplains endorsed his undertaking. 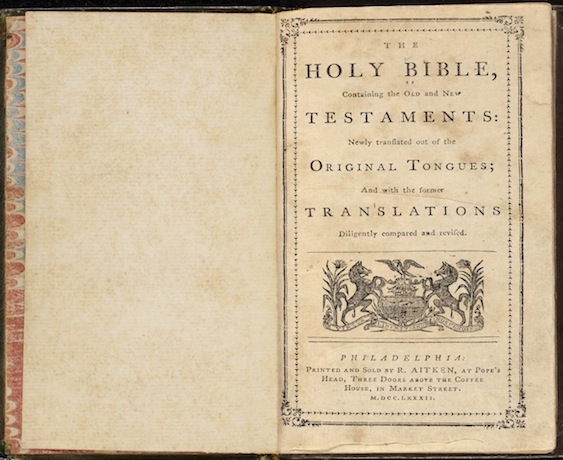 Within days, the Continental Congress resolved to “recommend this edition of the Bible to the inhabitants of the United States.” The grateful publisher printed 10,000 copies of the King James translation, placing an abstract of the congressional testimonial in the preface of his Bibles. Aitkin’s King James Bibles were produced singly and in two volume sets. 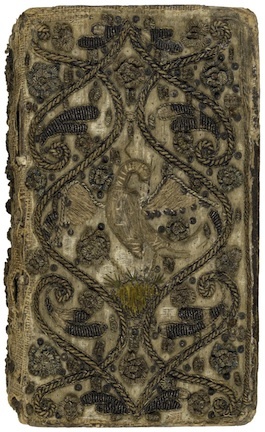 About fifty remain in existence, including one the Library of Congress has lent to the Folger Shakespeare Library for its exhibition Manifold Greatness: The Creation and Afterlife of the King James Bible. 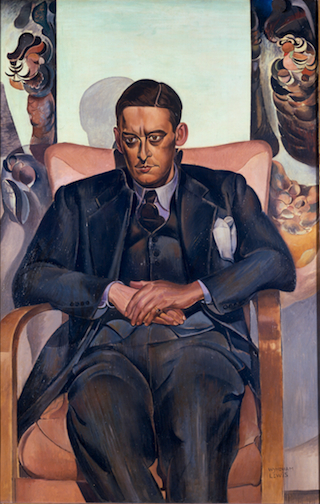 Representative Daniel Webster of Florida previews the Manifold Greatness exhibition. R. David/ National Endowment for the Humanities. 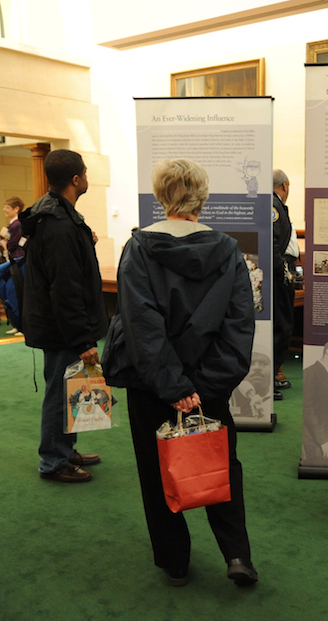 The exhibition, supported by a grant from the National Endowment for the Humanities, has also been turned into a traveling exhibit to be displayed and discussed in forty libraries across the country over the next two years. The Folger also produced a rich website full of material for a wide range of audiences of all ages. 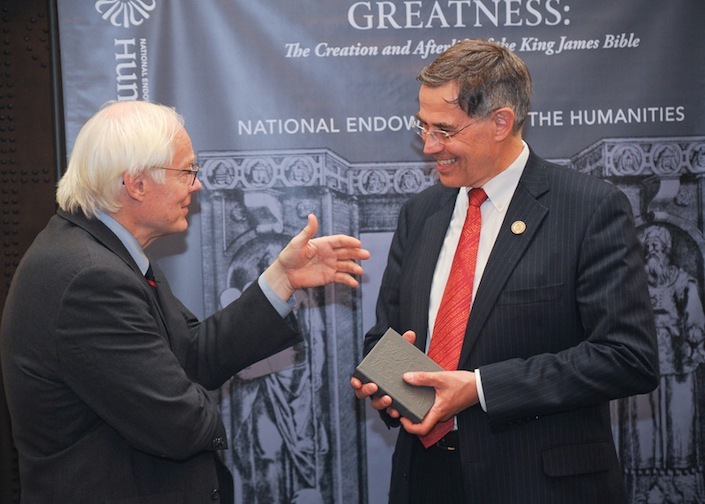 NEH Chairman Jim Leach and Representative Rush Holt of New Jersey discuss the King James Bible. R. David/ National Endowment for the Humanities. Alas for Aitkin, the end of the Revolutionary War in 1783 reopened trade between the new United States and Europe. 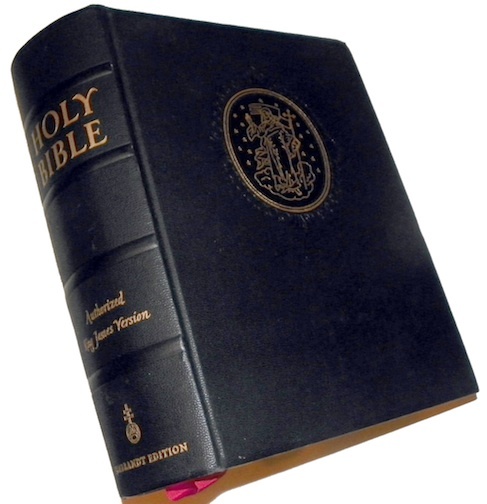 Aitkin’s version of the King James Bible, despite being the only Bible ever recommended by Congress (the First Amendment to the Constitution, which said that “Congress shall make no law respecting an establishment of religion” wasn’t ratified until 1791), couldn’t compete. Practicality triumphed over ideology. The Aitkin Bible, with pages only 3 1/8 inches wide, almost no margins, and inferior paper, was undersold by higher-quality foreign imports. Americans bought the English version, whether the product of their colonial overlords or not. No act of any Congress could convince them otherwise. Judy Havemann is the communications director for the National Endowment for the Humanities and is grateful for the research published on the website of the Houston Baptist University’s Dunham Bible Museum and Paul C. Gutjahr’s An American Bible: A History of the Good Book in the United States, 1777-1880. 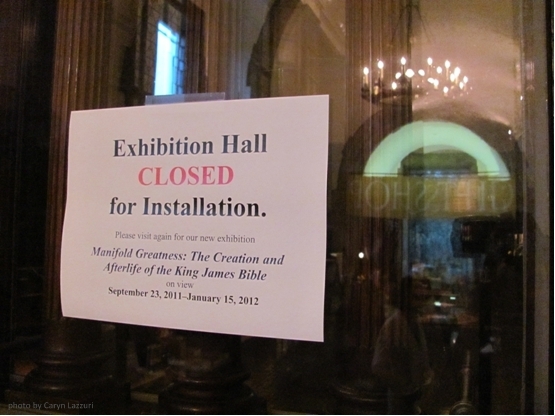 The exhibition Manifold Greatness: The Creation and Afterlife of the King James Bible opens to the public today at the Folger Shakespeare Library in Washington, DC, and we couldn’t be happier! 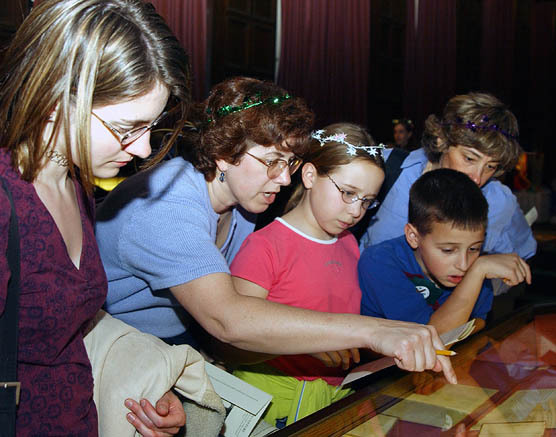 GROUP TOURS: Docent-led tours of the exhibition, as well as the Folger national landmark building, are offered for groups of 10 or more. To arrange, please call (202) 675-0395. AUDIO TOURS: Visitors, using their own cell phones, can call (202) 595-1844 and follow the prompts for 200# through 213# to hear the Folger Manifold Greatness curators share personal comments on exhibition items. 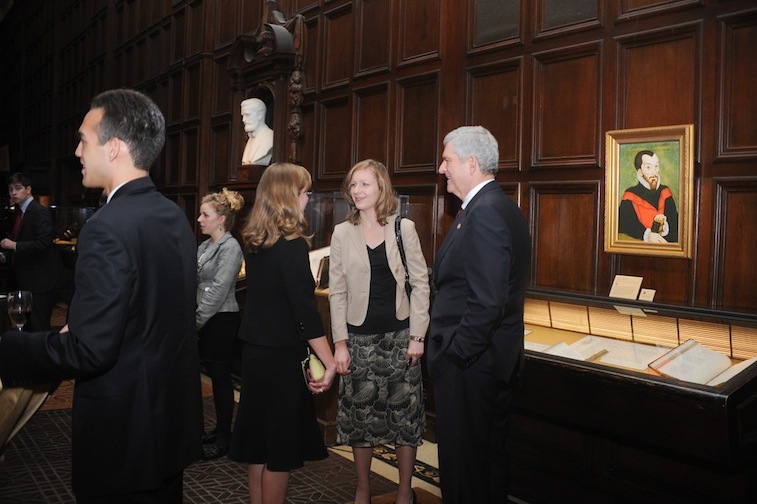 Folger Shakespeare Library is a world-class center for scholarship, learning, culture, and the arts. It is home to the world’s largest Shakespeare collection and a primary repository for rare materials from the early modern period (1500–1750). 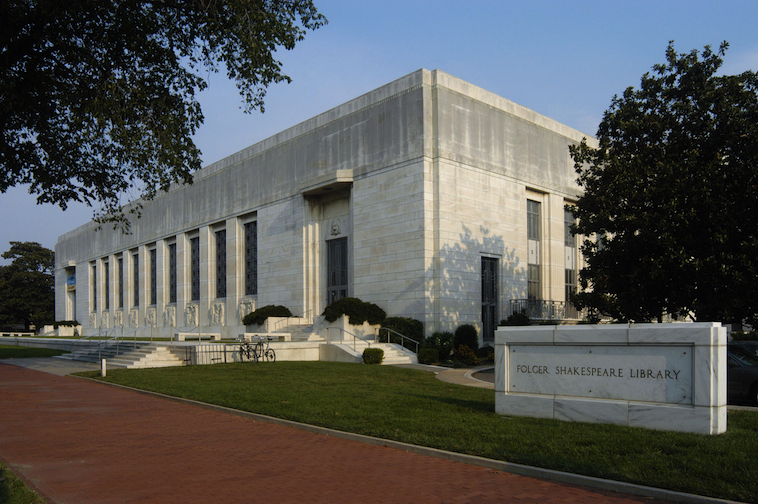 The Folger is an internationally recognized research library offering advanced scholarly programs in the humanities; an innovator in the preservation of rare materials; a national leader in how Shakespeare is taught in grades K–12; and an award-winning producer of cultural and arts programs—theater, music, poetry, exhibits, lectures, and family programs. By promoting understanding of Shakespeare and his world, the Folger reminds us of the enduring influence of his works, the formative effects of the Renaissance on our own time, and the power of the written and spoken word. A gift to the American people from industrialist Henry Clay Folger, the Folger—located one block east of the U.S. Capitol—opened in 1932. 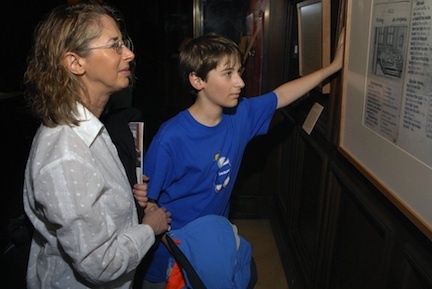 Learn more about the Folger exhibition. 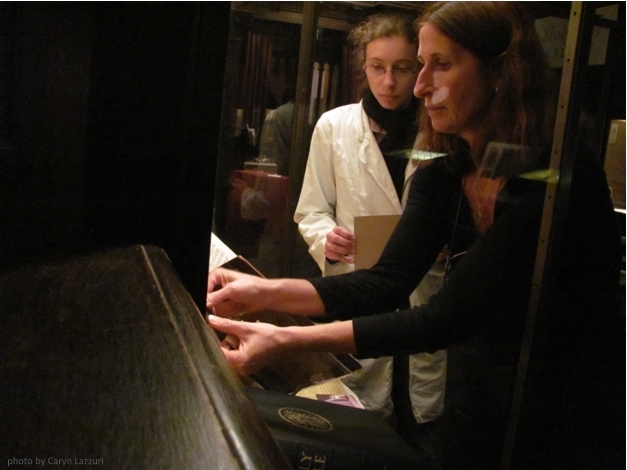 Learn more about the Folger Shakespeare Library.. This video is a production of Alabama Public Television (APT) in partnership with the Folger Shakespeare Library. Thanks to APT Executive Producers Heather Daniels and Mark Fastoso who manage a production studio at the Folger which produces original educational videos like this one. Family programs. Folger Shakespeare Library. As the Folger Manifold Greatness exhibition gets ready to open to the public this Friday, a host of related Folger programs and events are on the way—right away—from this Saturday’s family program to concerts and plays, a major conference, lectures and conversations, and much more! But that Saturday wake-up call is just the beginning. 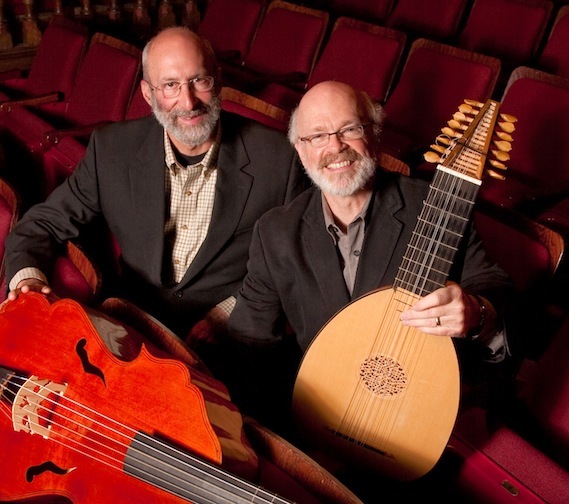 Next week, the Folger Consort, the resident early music ensemble of the Folger Shakespeare Library, is holding an early music seminar on September 28 that considers its upcoming concert, A New Song: Celebrating the 400th Anniversary of the King James Bible.Concerts take place September 30 through October 2. 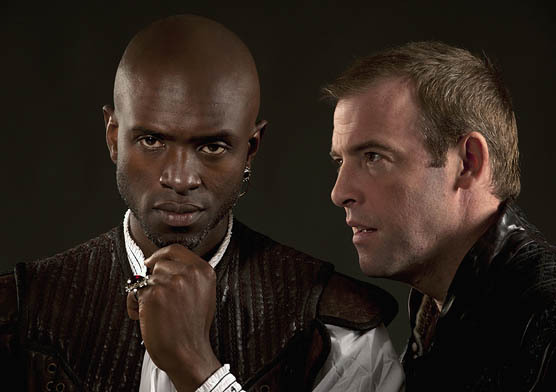 Owiso Odera, Ian Merrill Peakes, Othello, Folger Theatre, 2011. Photograph by James Kegley. On October 18, it’s the premiere of the Folger production of William Shakespeare’s Othello, written and performed about the time that King James came to the throne—more about that closer to opening night! We could go on (and there are already more events scheduled for November and December…) but you get the idea. We’d love to have your family join us for Shake Up Your Saturdays! this Saturday morning. Just don’t think for a moment that there isn’t much more to come, for every audience and age.